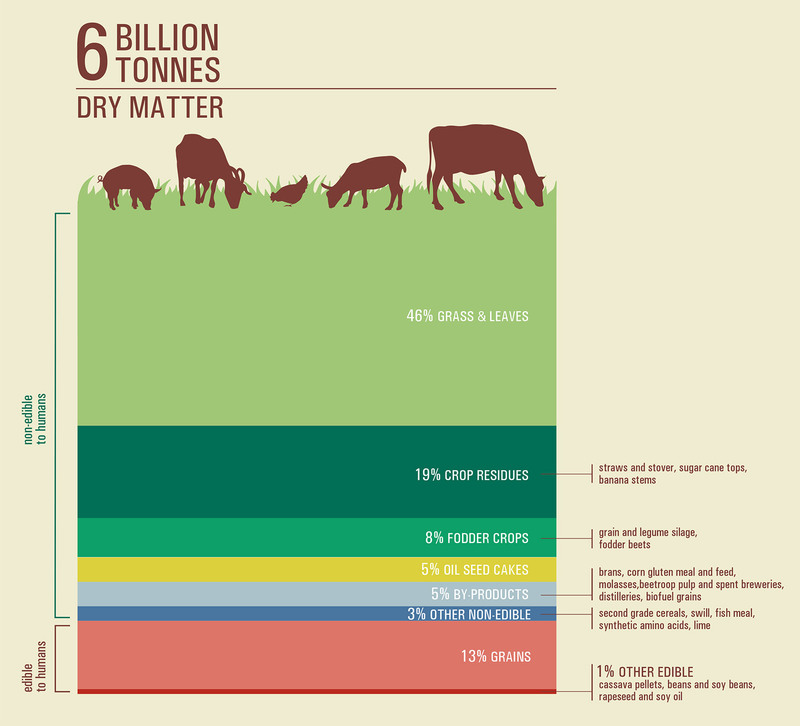 86% of livestock animal feeds do not compete with food! To better monitor the national and regional livestock sectors and formulate adequate development strategies, it is essential to develop systematic approaches to accurately assess livestock feed supplies and obtain better insight into how feed resources are being utilized. The latter information on use of feed resources is achieved by characterizing the feeding systems. A detailed information on feeding systems in lowlands of Ethiopia is presented here. Also approaches to meet the deficiency of animal feed in the dry seasons are presented. This website allows you to search the USDA Food Composition Databases: USDA National Nutrient Database and USDA Branded Food Products Database. You can search the database by food item, food group, or manufacturer's name to find the nutrient information for your food items. You can also generate lists of foods sorted by nutrient content. This document presents an inventory and balance of feeds available in Ethiopia so that the country can be aware of its needs, resource availability, gaps, implications and how the gap can be filled within the country. This will make feed interventions in the country effective in the immediate, medium and long term as well as provide solutions for replication in the region. The livestock sector can play a key role in addressing, directly or indirectly, sustainable development goals (SDGs). While, for decades, the livestock debate has focused on how to increase production in a sustainable manner, the UN 2030 Agenda for Sustainable Development has added a new and broader dimension to the debate. It has shifted the emphasis of the conversation from fostering sustainable production per se, to enhancing the sector’s contribution to the achievement of the SDGs.